This post is long overdue! 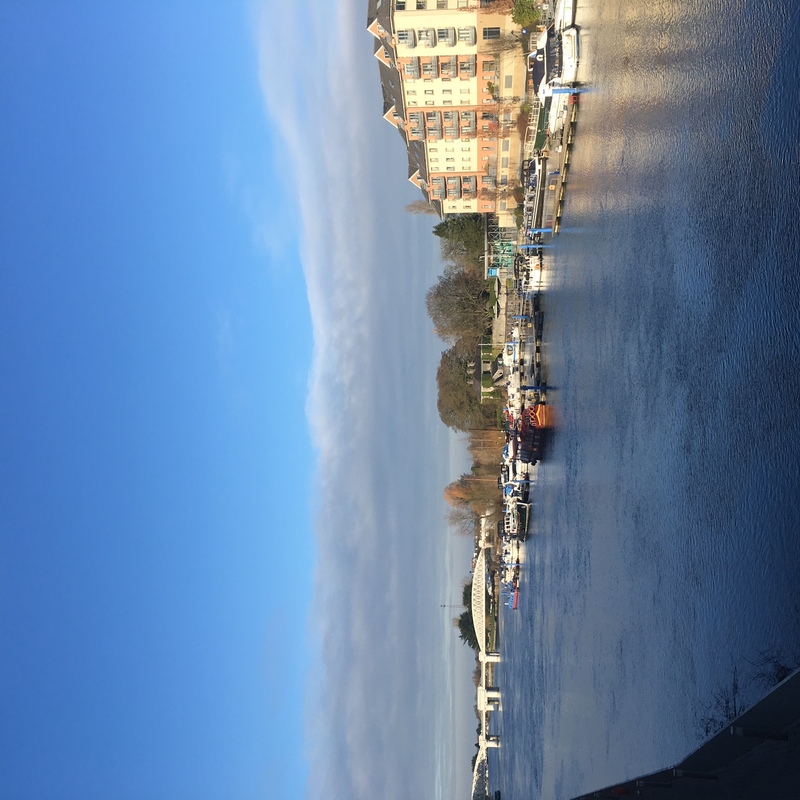 I wanted to share my trip to Athlone which is in County Westmeath, Ireland. 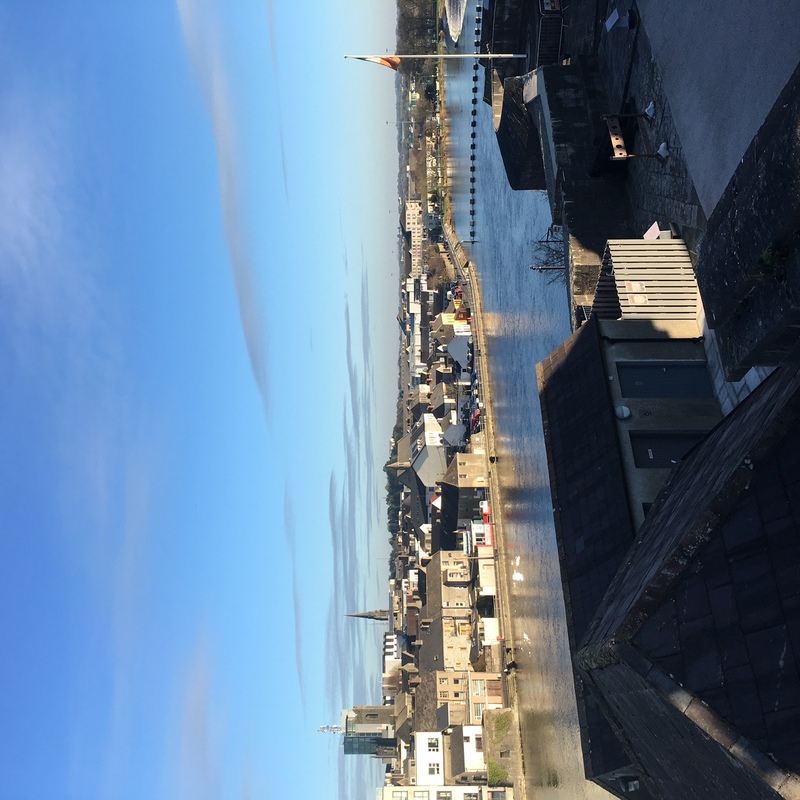 According to some forums and searches online, Athlone is considered the middle of Ireland. However, there is also a geographical centre of Ireland (which is Carnagh East, County Roscommon) and the middle of Ireland according to Irish Mythology is the Hill Uisneach (just outside of Athlone). Regardless of all the facts, to me, it is in the middle of Ireland. If you book early enough you can catch a train for 30 euro (return). the train takes 2hrs5min from Connolly station, Dublin to Athlone. I left buying a train ticket to last minute, and by then the price has increased considerably, so I took the bus instead. 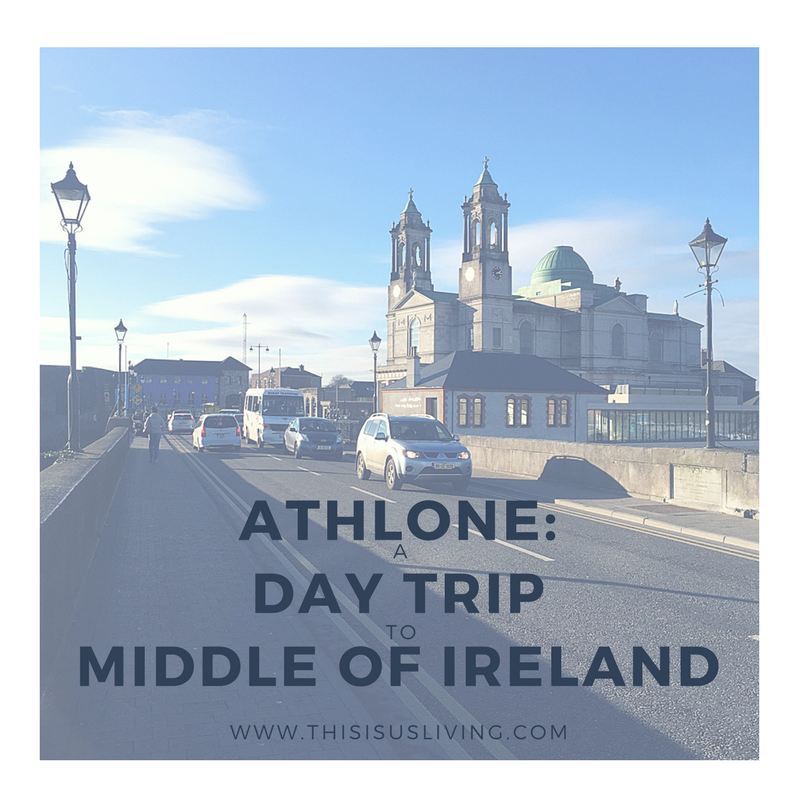 A bus trip costs 18 euro (return) and for a 2hrs15min bus ride from Dublin (Busáras) to Athlone, which I think is far more affordable, and for only 10 minutes extra! This is the largest river in Ireland. It runs from Dowara, county Cavan all the way to Limerick city, county Limerick (360.5 km!). 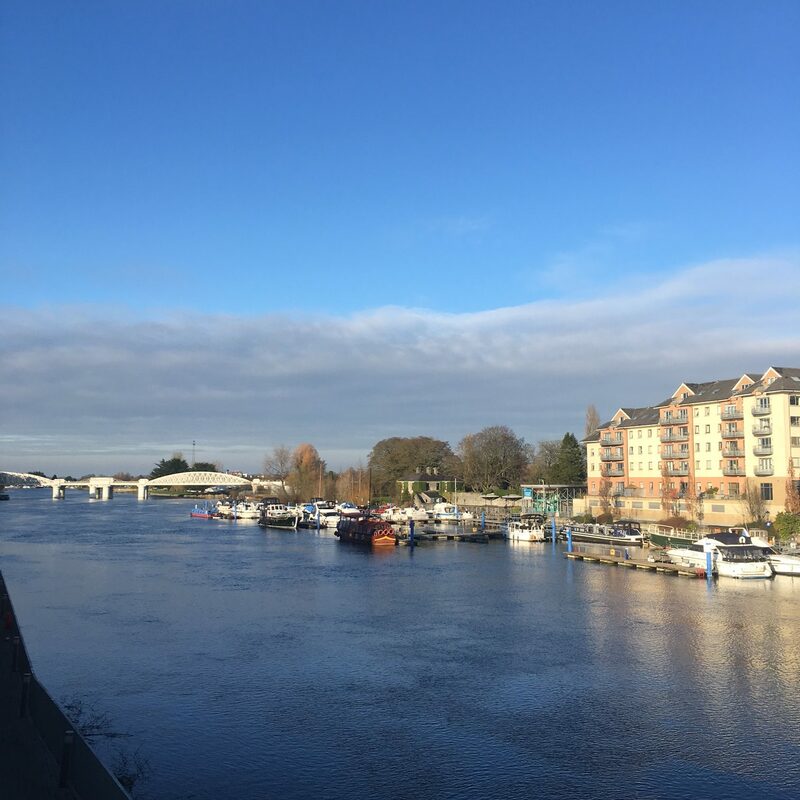 To get to most of the tourist spots on the left bank in Athlone you need to cross over the Shannon as the bus and train stops are all on the other side of the river. I cannot rave about this little gem of a restaurant enough. 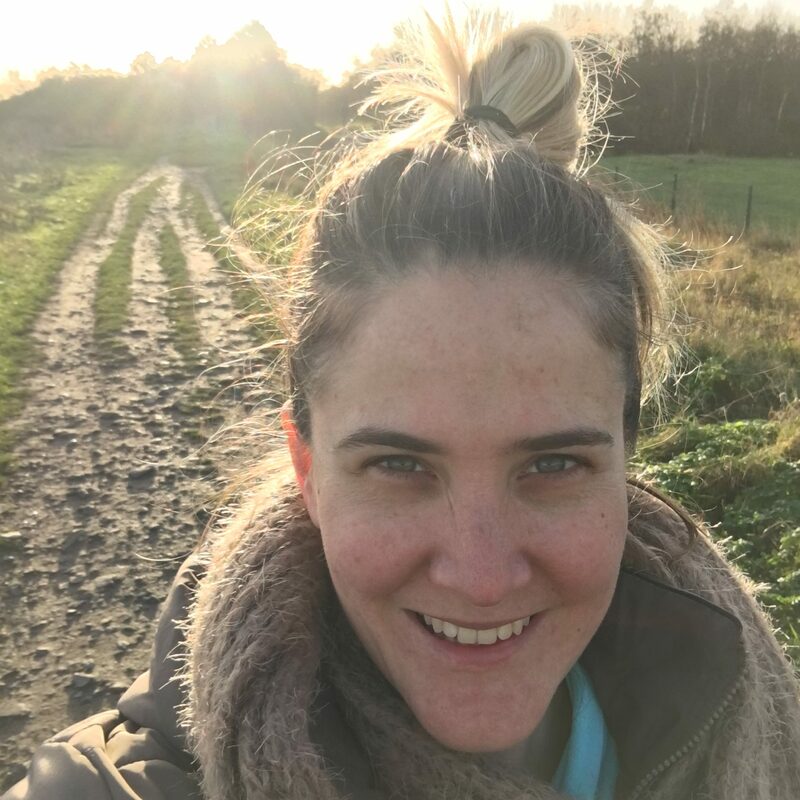 Lynda has created an ethical, organic, community deli that is just bursting with flavour and yummy treats. All locally sourced products, and a wide variety of items are made at the onsite kitchen. They also have great coffee! 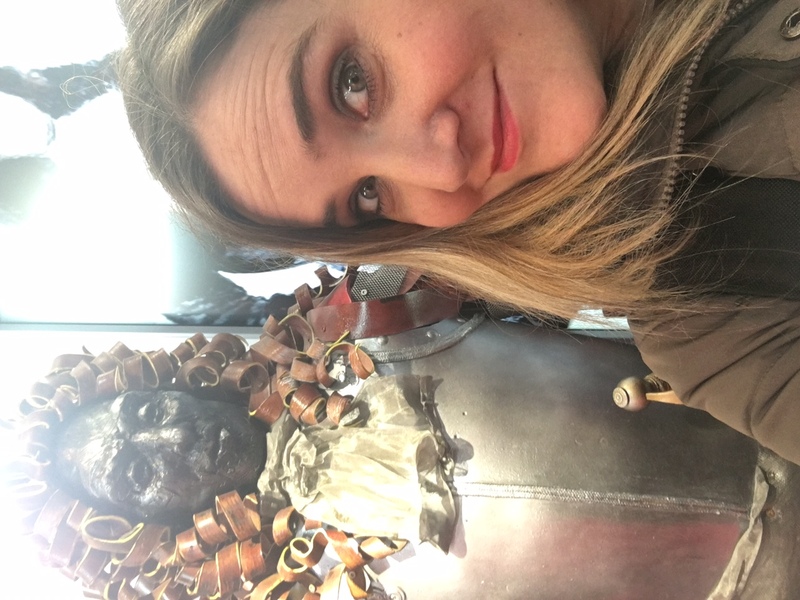 I tried the lemon and coconut cake while I was there – it did not disappoint! Check out their Facebook page, and Instagram page – just a note that they are closed Mondays & Sundays. 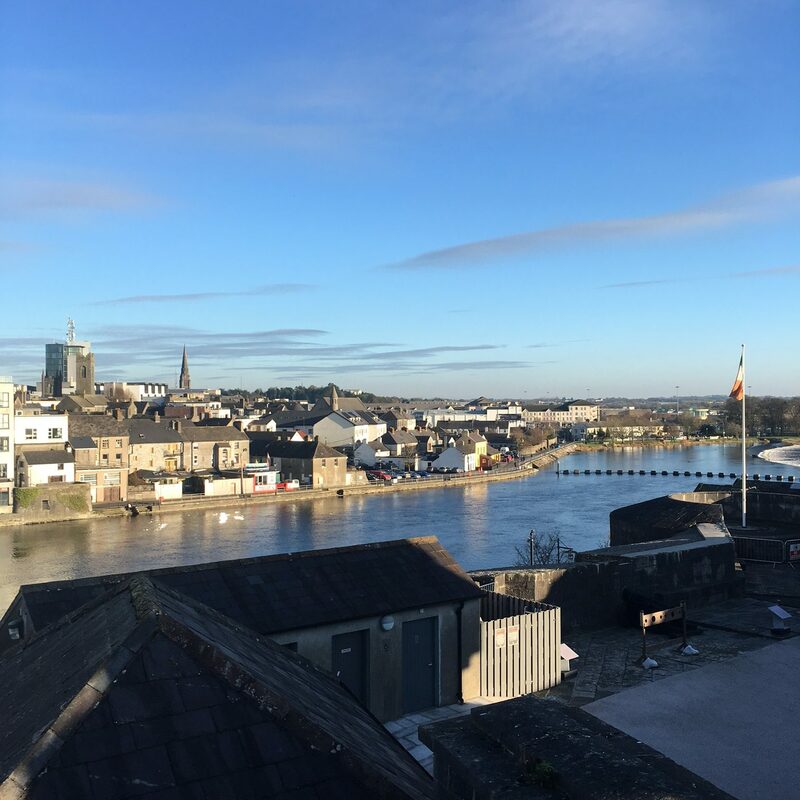 Looking to learn the history of the town, then you have to stop in at Athlone Castle. 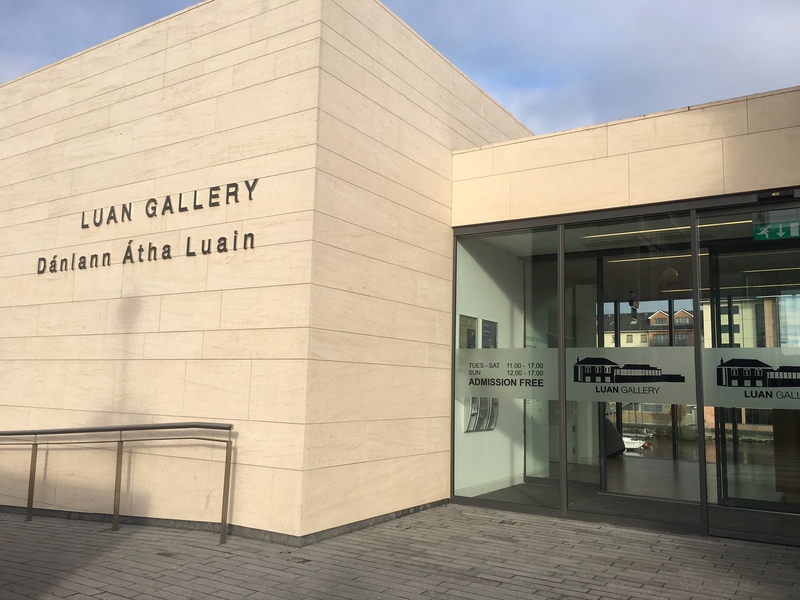 It is an interactive museum, with a great way of telling visitors the history behind Athlone in a fun and engaging way. The castle was built in the 12th century and a few years ago went through a bit of renovation. Cost of admission is 8 euros, and I recommend setting aside at least an 1 hour or so to go through the museum. 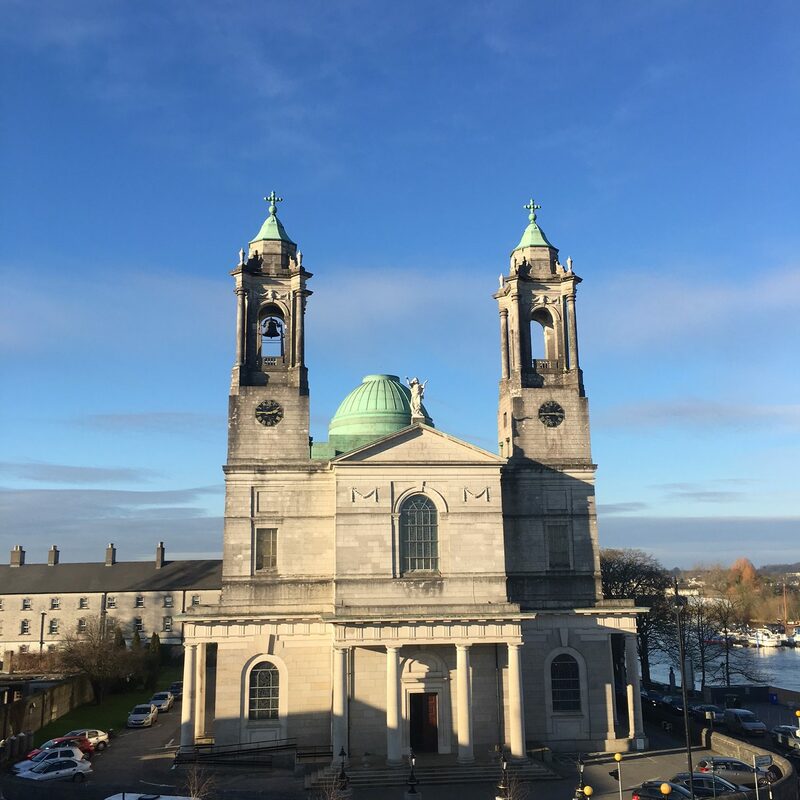 Don’t forget to go up to the viewing deck as well, the views of Saints Peter and Paul Church and the river are pure magic. I didn’t go inside, but you cannot walk past this church without snapping a pic. What is a visit to a quaint Irish town without stopping for a pint?! It is mandatory that if you ever find yourself in Athlone, that you visit Sean’s bar. 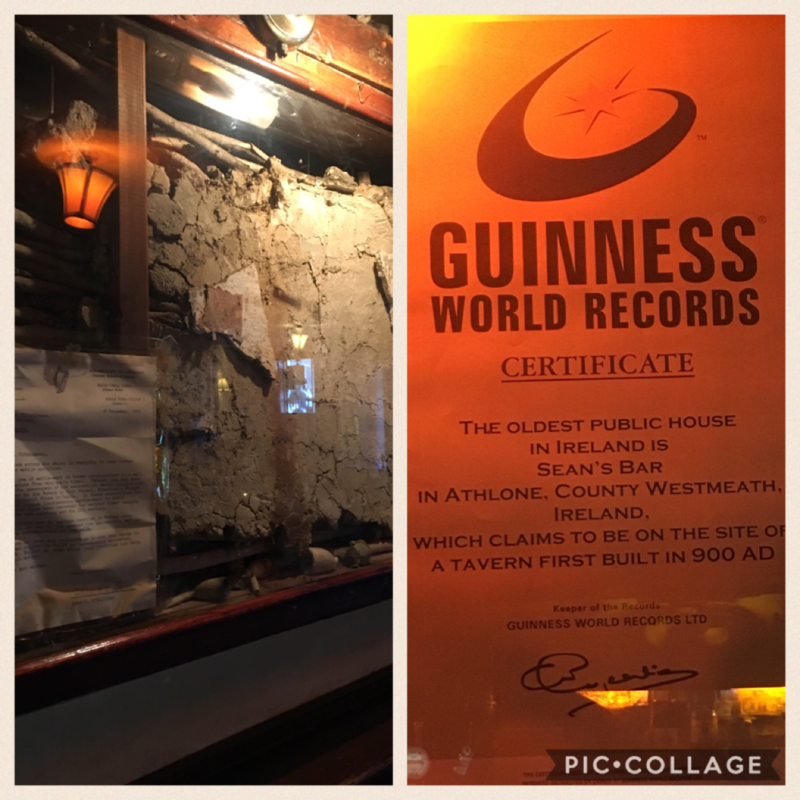 According to Guinness Book of Records, it is the oldest pub in Ireland. Built in 900 A.D, this cosy establishment on the river is a must visit pub. In summer time they have a beer garden out the back, and I told it gets very festive. I visited in the middle of winter, and still felt such a lovely vibe in there. Besides, who can visit a pub and not have actually stop and have a pint?! Moydrum Castle – this is a castle that is in ruins, that has ivy slowly growing over it. It looks fascinating, and totally Instagram worthy! This blog post has some great pictures and shares the history behind the castle ruins. Hill of Uisneach – As I mentioned at the beginning of this post, according to Irish mythology it is the centre of Ireland. You can only access it by taking a guided tour (cost is a 10 euro donation), the walk is about 3km, so takes about 2 hours to do. Open from May to September, Wednesday – Sunday at 1pm. Check their website for further info. The Old Rail Trail – This is a greenway cycle route from Athlone to Mullingar. The full route is 40km, but you can do parts of it, as little or as much as you can. 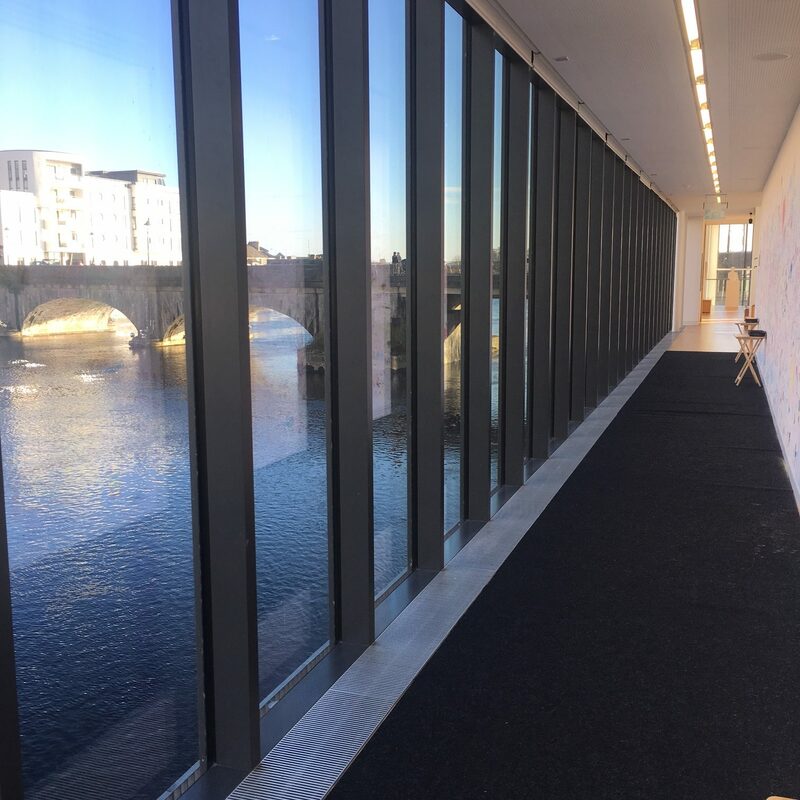 I really love that all through Ireland these greenways are being opened up – they are in the process of building one in Dublin too, and there was one in Waterford when we visited there too. 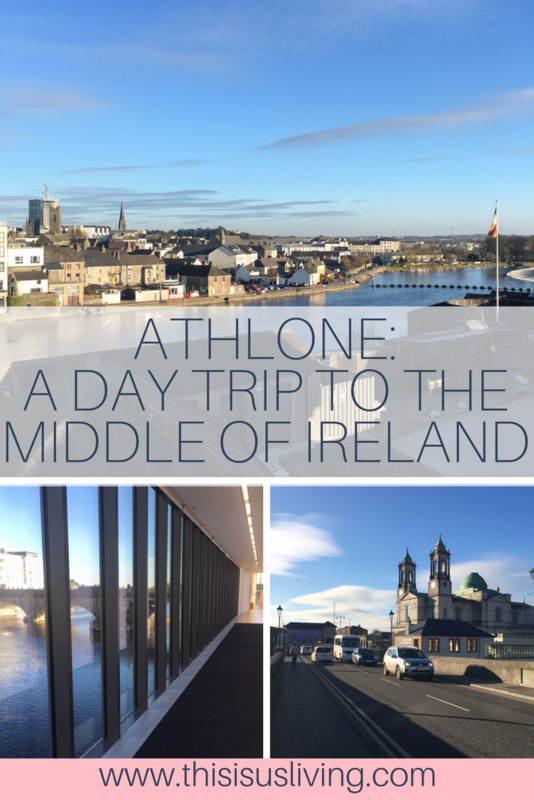 HAVE YOU BEEN TO ATHLONE, IRELAND? DO YOU KNOW WHAT TOWN IS THE CENTRE OF YOUR COUNTRY? Wow, looks like an amazing trip! I would so love to go to Ireland one day, pinning this post for if it ever happens! 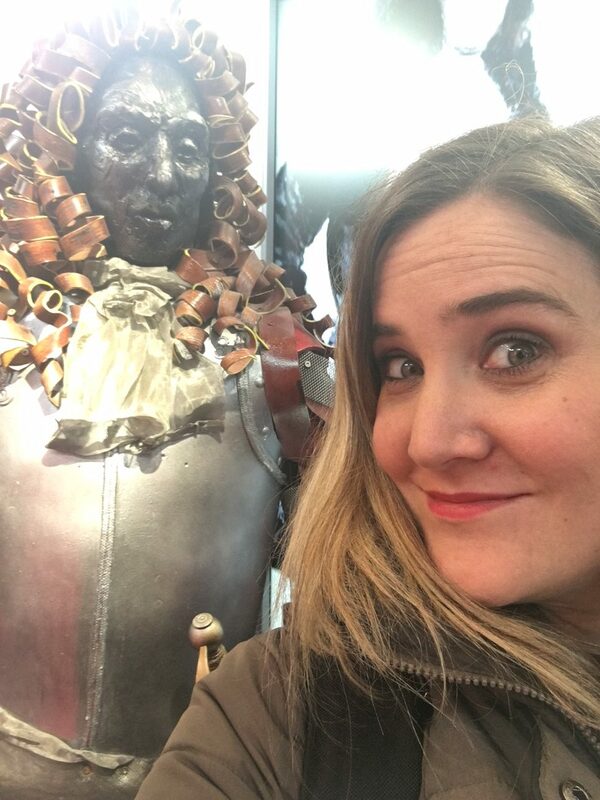 Thanks Jordan, there is so much to see in Ireland – the great thing is that it is easy to travel and see a good chunk of it in a short time! Hey John, it is in county Westmeath but the border for Roscommon is close so perhaps she lived out of town. Definitely thinking renting a car is a great way to see a few places while you are here. 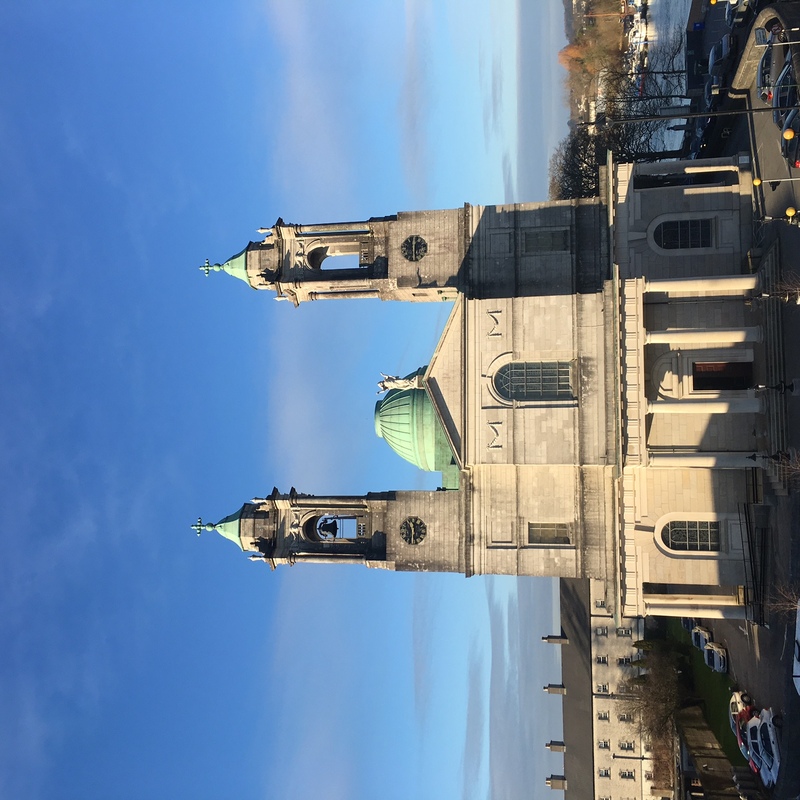 Athlone is a great day trip to do. We stayed in Clonmacnoise when we visited Ireland in April and went for lunch in Athlone. Was a lovely little town and the food was great! OOh Clonmacnoise is on my list to get to too! Meg you summed the town great! During the summer there are also some boat tours worth going on too. The Viking Boat Tour goes down the Shannon to Clonmacnoise. OOh viking boat tour definitely sounds like something I need to do! Just starting to explore for a May trip to Ireland. Will certainly follow and learn ! I was wondering about non coastal areas.